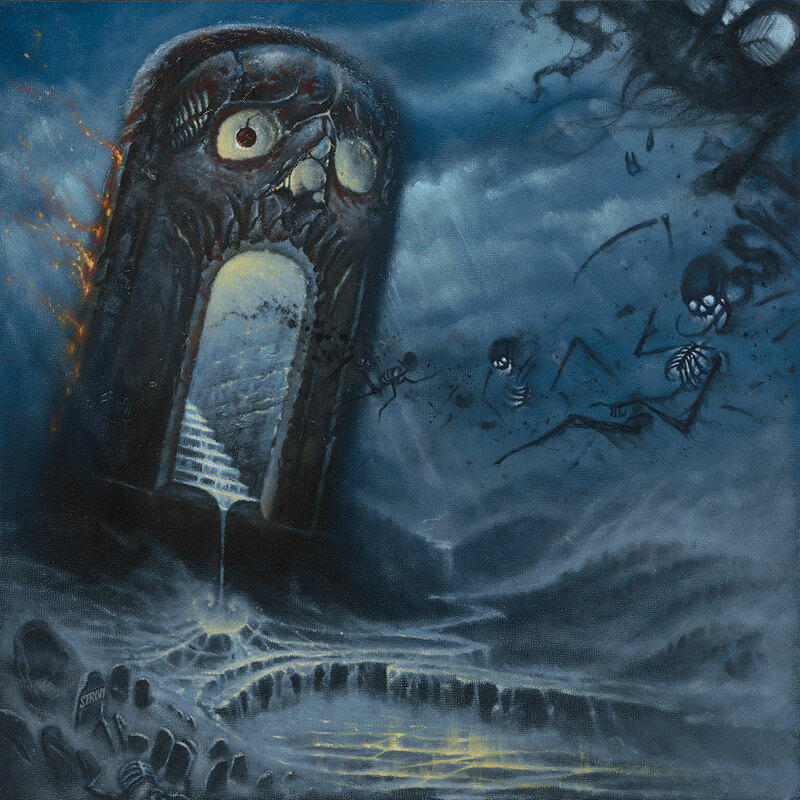 CD Review: Revocation – “Deathless” – Burning Fist! Audio • December 10, 2014 • Burning Fist! On reflection the album title, the fifth release from the American outfit, could be interpreted as being in relation to their musical style. At times they would definitely be accepted as having the ingredients for a death metal act, but there is so much else thrown into the mix that this is hardly a death metal album. When they are immersed in the heavier depths of the genres there’s an impressive solidity to the riffing and gruff vocals, some truly battering drums in sections, but the core of their sound is much more defined by a fast technical aspect that is more melo-death or crisp modern thrash. For all its fresh sound it is not without reference to the past, bit of Voivod atmospherics and dissonance recalled, and use of lyric lines such as “Voracious souls” and “Clandestine” can’t help but trigger connections, intentional or not. The use of clearer sung sections for some choruses is done pretty powerfully, not losing much in the contrast, effective as it is with Strapping Young Lad or Slipknot. The covering of many bases and musical diversity does maintain the interest but after a strong opening batch of songs this is extended a little too far for my tastes and something starts to grate for me. First its elements of rocky riffing and then more and more guitar virtuosity displays, presumably from the front man/lead guitarist. The Steve Vai stylings might appeal to many traditionalists but to me they seem incongruous to the core of their sound, dragging in a power metal aspect. If this was reined in a bit I think it would be a more focused effort but then again the eclecticism within their mix sets them out as relatively unique too, a double edged sword! Ultimately a mixed reaction for me but could be the right blend for others. Posted in ReviewsTagged death metal, Deathless, Mark, metal, Metal Blade, Metal Blade Records, Review, Revocation, Thrash Metal, USABookmark the permalink.